Excerpt from Q&A, July 17, 2017. MATT CANAVAN: Thanks, James. Look, I don’t accept that renewables are, at the moment, cheaper than coal. – Excerpt from a question posed by Q&A audience member James Newbold to then-Resources Minister Senator Matt Canavan on Q&A, July 17, 2017. One of the biggest debates underway in Australia (and around the world) is about electricity, and how it should be generated. One of the major pressure points is prices. The Conversation contacted Matt Canavan’s spokesperson for sources to support his statement but did not hear back before deadline. Nonetheless, we can test his statement against publicly available data. In 2017, the marginal cost of generating power from an already existing coal station is less than $40/MWh, while wind power is $60-70/MWh (explained below). So why do people say renewables are now cheaper than coal? Well, they’re often talking about what would be the cheaper option if old coal-fired power stations were replaced today – in other words, the new-build price. Making the distinction between the cost of existing energy generation, and the cost of new-build energy generation in this debate is very important. Comparing the two is like comparing apples and oranges. Current prices are based on existing installations, while new-build prices compare the costs of different technologies if their operating lives started today. This matters because Australia’s existing coal-fired power stations are ageing and will need to be replaced. Comparing new-build prices is more complicated than comparing current costs, as I’ll discuss later in this FactCheck. How do we measure the cost of electrical power? Let’s cover the basic terminology first. Electrical energy is measured in kilowatt-hours – the units generally used for metering and charging residential electricity use. One kilowatt-hour represents the amount of energy a device that draws one kilowatt of power (like a household heater, for example) would use in one hour. A megawatt-hour is 1,000 times larger, and it’s what we typically use to measure large electricity loads or generators. So when we’re comparing the cost of electrical energy generated by different sources, we’ll be talking about Australian dollars per megawatt-hour ($/MWh). There are a few things we need to take into account when we’re calculating the cost of electricity created by different technologies. First, we need to factor in how much it costs to establish the source in the first place – whether that’s a coal-fired power station, a wind farm or a hydro-power plant. Then we need to factor in how much it costs to operate, fuel and maintain that facility over its lifetime. These factors and the cost of capital (like the interest rate) are commonly combined into a metric called the “levelised cost of electricity” (or the LCOE). This provides a measure of the total cost in current dollars per unit of electrical energy generated ($/MWh) over the lifetime of the facility. We also need to know the time frame in question. A coal-fired power station that’s nearing the end of its operating life may have recovered its original capital investment. So the marginal cost of coal-fired electricity may be low, compared to the levelised cost of a new wind farm that’s yet to recoup its initial capital cost. Using the levelised costs of electricity created by different technologies does always not provide a perfect comparison. Comparing such different technologies will never be comparing apples with apples. But it’s the best measure we’ve got for a simple “plug-and-play” replacement of a single generating source. Today, most of Australia’s electricity is sourced from coal-fired power stations. In their discussion on Q&A, Newbold and Canavan referred broadly to “renewables”. Currently, wind power is the cheapest form of renewable energy. So we’ll use that as the basis for comparison with coal-fired energy. In 2017, the marginal cost of generating power from an already existing black coal-fired station is less than $40/MWh. Brown coal-fired power is even cheaper. To establish the current price of wind power, we can look at the announcement in May 2017 by Origin Energy, when the company agreed to buy all the power to be generated by the Stockyard Hill Wind Farm in Victoria between 2019 and 2030 for less than $60/MWh. A similar price was struck in March 2016 when the Australian Capital Territory government conducted its second “wind auction”. The government uses wind auctions to buy contracts for future energy supplies. The lowest price in the 2016 auction yielded around $60/MWh in current prices. This figure is based on a flat rate of $77/MWh for 20 years and assuming around 3% inflation, which is the upper end of Australia’s inflation rate target of 2-3%. Combining the total price range for that auction with this inflation range gives around $60-$70/MWh in current prices, with wind farms currently operating in that adjusted range. So, based on the marginal cost of energy generated by existing coal-fired power stations with sunk costs, Canavan is correct in saying that renewables are not “at the moment, cheaper than coal”. However, the story is different if we are talking about new-build electricity prices. And this is often where conversations and debates become confused. Coal-fired power stations in Australia have operating lives of around 50 years. As can be seen from the table below, nine of Australia’s 12 biggest operating coal-fired power stations are more than 30 years old. In preparation for the retirement of those older coal-fired stations, policymakers, energy companies and other investors are debating whether to replace them with new coal-fired power stations, or other types of energy generation. This is where the comparison of new-build costs comes into play. 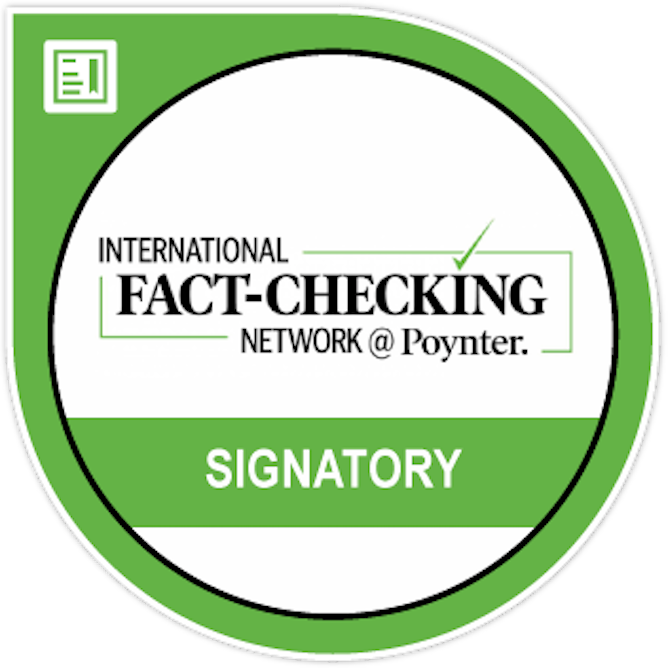 FactChecks rely on data from events that have already occurred. So we can’t say with factual certainty whether or not renewables would be cheaper than coal as a new-build energy source, because no coal-fired power stations have been built recently. But we do have recent prices for the cheapest form of new-build renewable energy, which is newly-installed wind power. And we do have recent levelised price projections for the cheapest new-build fossil fuel energy, which is supercritical coal power. The projected price for new supercritical coal power comes in at around $75/MWh from the recent Finkel review of the National Electricity Market, based on data produced by Jacobs Consultancy. That is consistent with the price of $80/MWh from the 2016 report from the CO2 Cooperative Research Centre, and less than the $84-94/MWh from the 2012/3 Australian Energy Technology Assessment . These projections for new supercritical coal power are higher than the recent prices for newly-installed wind power (outlined earlier in the FactCheck) at around $60-70/MWh in current prices over the 20-year contract period (which is similar to a levelised cost). So, if we look at recent wind power prices and recent price projections for new supercritical coal power, it’s reasonable to say that – as things stand today – wind power would be the cheaper new-build source of electricity. improvements in technology (this is expected to reduce the price of renewables more so than coal). secondly, the Q&A audience member and Canavan were discussing prices as they are “now” and “at the moment”. 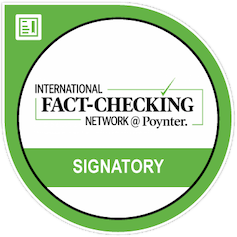 So that’s what I’ve addressed in this FactCheck. Based on the electricity generated now by old coal-fired power stations with sunk costs, Matt Canavan was right to say: “I don’t accept that renewables are, at the moment, cheaper than coal”. In 2017, the marginal cost of generating power from an already existing coal station is less than $40/MWh, while wind power is $60-70/MWh. The Q&A audience member may have been talking about new-build prices. The author has provided a sound FactCheck that covers a lot of the complexities around a challenging issue. I would add one remark which doesn’t detract from the author’s verdict. The cost of new-build coal is likely to be higher than reported in the FactCheck. The author was correct to point out that the introduction of a price on carbon emissions would increase the cost of new-build coal-fired electricity. The mere possibility of the introduction of a price on carbon or carbon regulation in the future actually affects the costs of new-build coal-fired electricity today. The risk of increased costs or regulation for emission intensive generators manifests itself as a higher “risk premium” applied to current financing costs. The overall effect is a higher weighted average cost of capital (basically, a higher average interest rate) for emission intensive generation. The cost of electricity produced from a new wind farm is competitive with the best estimates for the cost of electricity produced from a new coal station, and cheaper than the cost of new coal quoted in very reputable analyses (CO2CRC 2015 and CSIRO 2017). As noted by the author, the comparison in this FactCheck does not include the cost of intermittency for renewables. Recognising that no technology runs 100% of the time, there is a backup cost to be added to wind to make it as firm (or stable) as a fuel-based plant. Available costs for such backup, such as large scale battery or pumped storage, are based on estimates and are the subject of much current study.